Due to several weeks of business trips, sickness in both houses and endless work we were seriously over due for a BFF date. Luckily TCM and Fathom Events came to the rescue with the 75th anniversary screening of The Maltese Falcon starring Humphrey Bogart and Mary Astor. This has long been one of my favorite film noir detective movies. It’s got all the classic twists and turns of a great mystery played by an all star cast. The Maltese Falcon (1941) – A private detective takes on a case that involves him with three eccentric criminals, a gorgeous liar, and their quest for a priceless statuette. I don’t want to spoil the plot for anyone who hasn’t seen it so I won’t go into details. Suffice it to say be prepared for misdirection, double crosses and lots of pithy one liners. An all around good time. This was John Huston’s directorial debut (he was also the screenwriter). Though this is the third film adaptation of the book by Dashiell Hammett it is widely considered the best. Sydney Greenstreet makes his film debut playing Kasper Gutman in this movie at the age of 62. He would go on to be one of the most famous character actors in the Warner Brothers stable. Peter Lorre and Sydney Greenstreet would go on to act together in 9 films, including Casablanca and Passage to Marseille where they once again team up with Humphrey Bogart. Nominated for Best Picture at the 1942 Academy Awards. 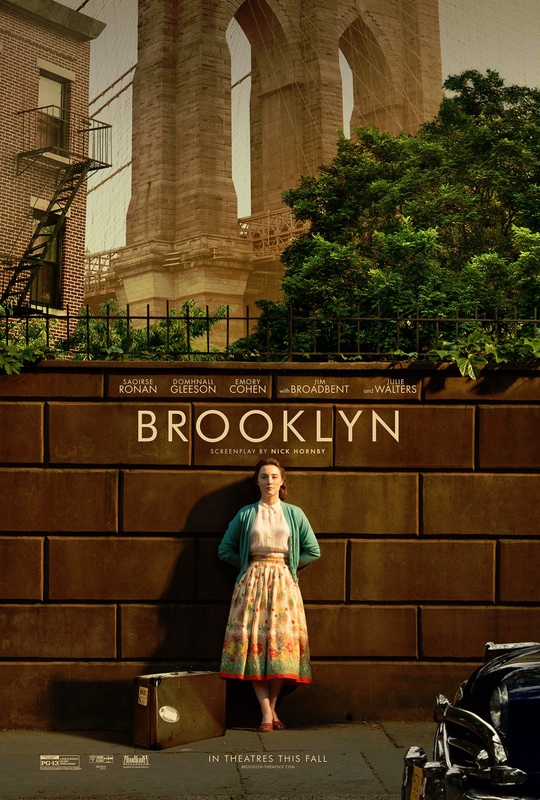 I would highly recommend catching this film in the theaters if you can. Encore showings are this Wednesday, February 24th. Get all the details on Fathom Events. And just for fun, here we are doing our best serious, brooding, film noir faces. Clearly we need a little more practice. In the news today it was announced that Judy Garland’s iconic blue and white gingham dress from the Wizard of Oz would be going up for auction. How amazing would it be to own a piece of Hollywood history like that? 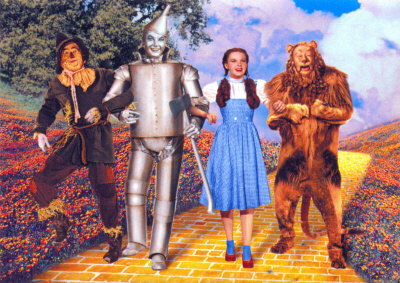 That article got me thinking about my other favorite classic movie costumes. It’s tough to narrow down but here are some of the ensembles I admire the most (in no particular order). 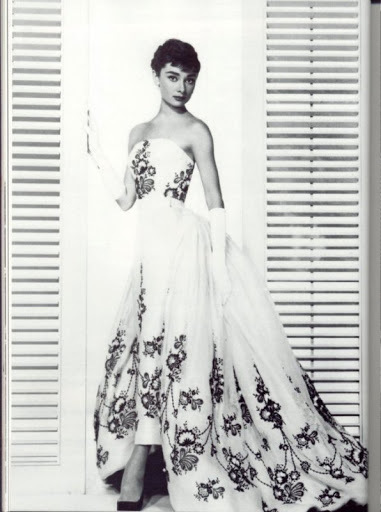 Working on the costumes for Sabrina started a professional and personal relationship that would span decades and countless films between Audrey Hepburn and Hubert de Givenchy. 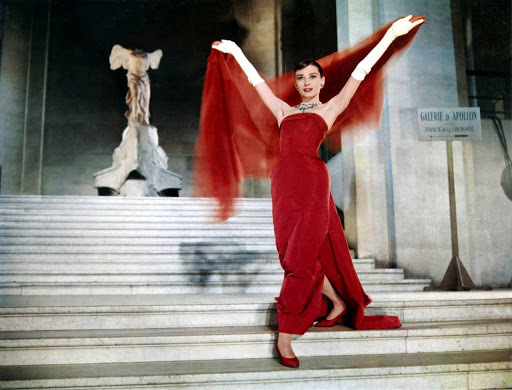 When Audrey’s character Sabrina Fairchild comes home from Paris she brings with her this stunning gown that she then wears to the Larrabee’s party giving her the chance to live out a lifelong dream. I absolutely adore the dress Rosemary Clooney wears in the Minstrel scene of 1954s White Christmas. It’s a black sequin trumpet style gown with a red tulle train. It looks amazing as she sings and dances with Bing Crosby and Danny Kaye. 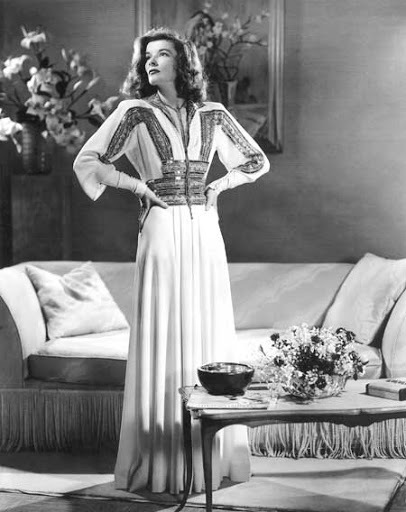 Statuesque and classically beautiful Katharine Hepburn plays socialite Tracy Lord with a cool and charming grace in this distinguished 1930s gown. Scarlett O’Hara was an extremely stylish southern belle but to me the most memorable outfit was the slinky and scandalous red dress she wears to Ashley Wilkes birthday party. 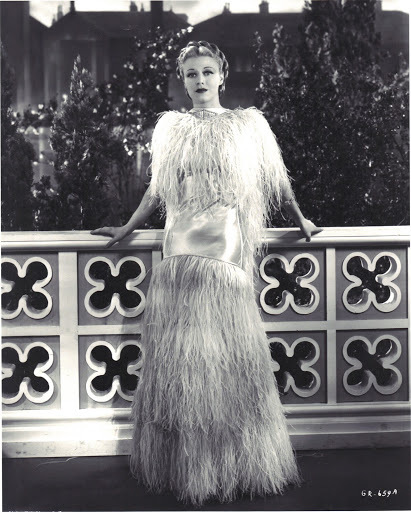 This iconic feather dress from the 1935 film Top Hat looked stunning as Fred and Ginger twirled around the dance floor. The entire fashion shoot featuring gowns by Givenchy is amazing but these two outfits top my list. 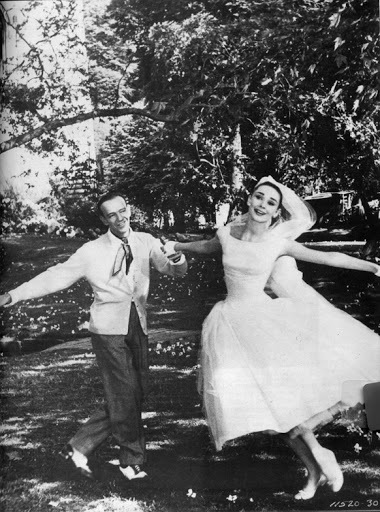 For years the finale wedding dress, that Audrey dances in with Frank Sinatra, was what I wanted to wear to my wedding.